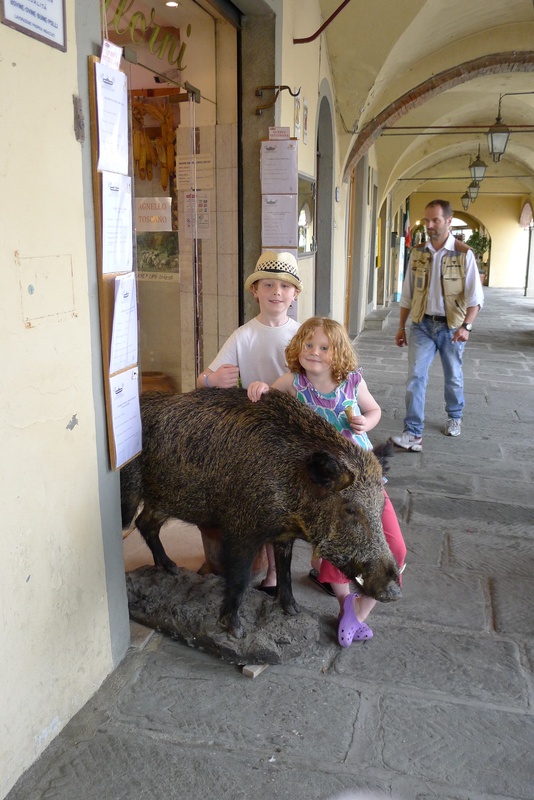 With full bellies and the rain mostly behind us we head into Greve in Chianti. We had stopped in last night on the way back from Siena for an ice cream (imagine!). We were so taken with the town that we wanted to take a better look around.This town is centred on the main square. 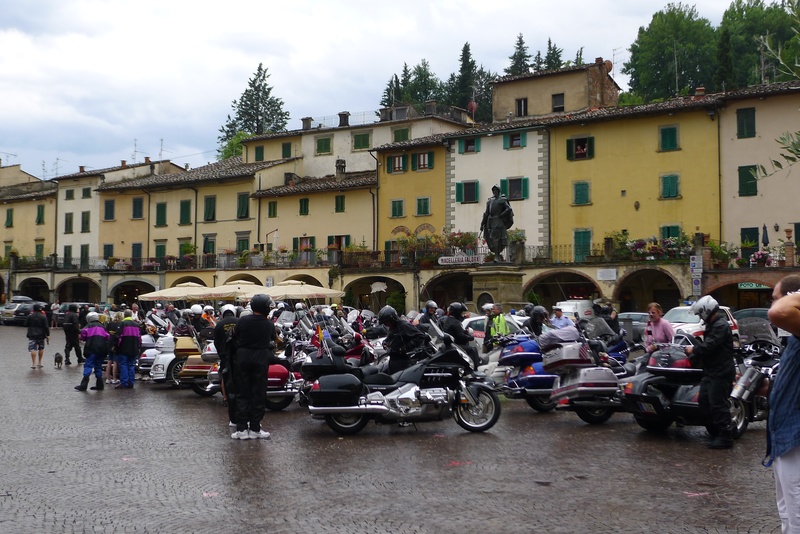 As we pull in we are greeted by about 200 motorcyclists who have taken refuge in the square – no doubt to get off the road in that crazed rain storm. 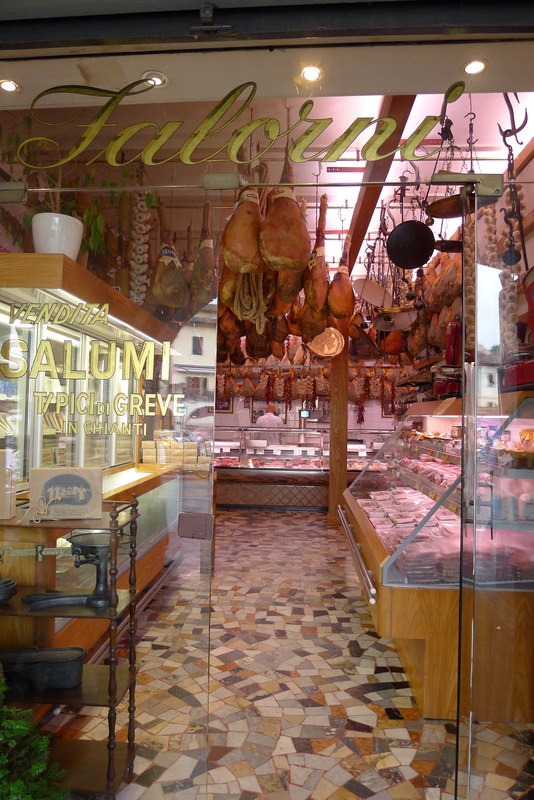 The proprietor of the restaurant we just left has suggested that we stop into a shop that specializes in meat, which we do and are amazed at the site before us. It is one of the coolest shops I have ever been in. 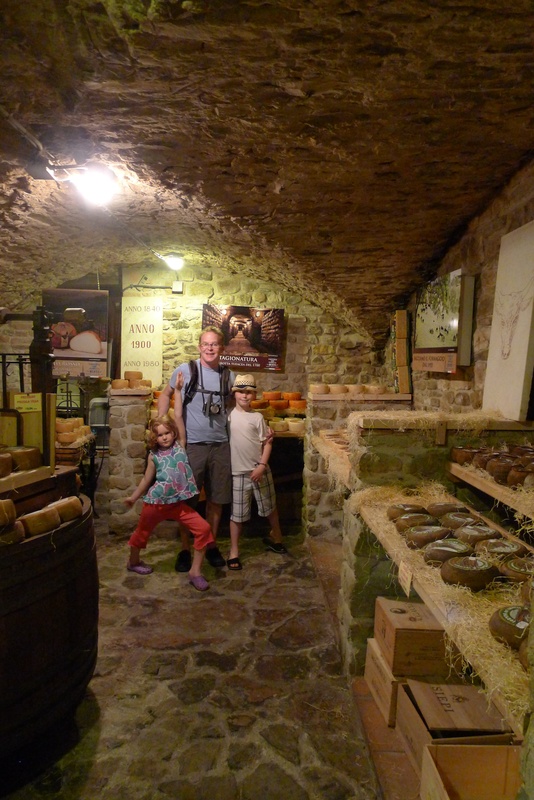 It even has a cheese cave! Chris actually buys a salami knife – the only thing he has been tempted by so far on this trip.